Great Location! Adorable Single level home on a huge lot in Orcutt. This 1,207 SF, 3 bedroom, 2 bath, attached garage and circular driveway. The open kitchen plan contains newer, wood cabinets. The home contains newer windows and open views of the backyard. The spacious living room is accented with a brick fireplace/mantle and hardwood flooring throughout including below carpets in the bedrooms. Huge .39 AC/16,988 SF lot with several fruit trees, alley access, potential RV Parking side/back and plenty of room to garden and entertain. 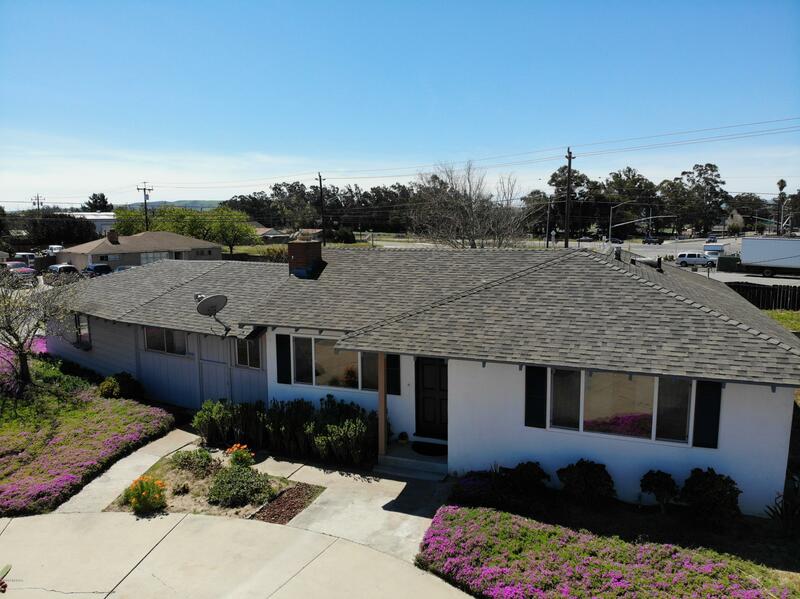 Close to shopping and Orcutt Schools! Easy access to Vandenberg AFB and Hwy 101. Directions to Property: Directions to Property: 101 South exit Santa Maria Way, left on Bradley, right on Lakeview, left on Marvin (corner lot). Corner Lakeveiw and Marvin next to Spencer's Market.